*Comedian Dave Chappelle angered fans in Hartford, Conn., on Thursday night when he cut short a performance and sat silently on a stool for nearly a half hour before walking off stage amid boos. According to NBC Connecticut, Chappelle, who was headlining the Funny or Die Oddball Comedy & Curiosity Tour, was on stage at the Comcast Theatre in Hartford for just a few minutes, when he suddenly stopped his routine and said the audience was making too much noise, one witness said. For the next 25 minutes, he sat on a stool, read from a book, told the crowd he was still getting paid and then eventually walked off the stage, a witness said. Needless to say, some fans want a refund. “He didn’t do anything. He just stood there. … He wanted quiet. He wanted everyone to be quiet while he performed,” one audience member said. 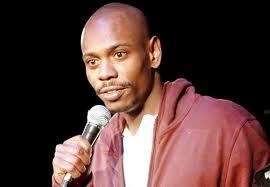 There’s no official word on why Chappelle walked off the stage. The 15-city Funny or Die festival is Chappelle’s first major stand-up tour since he abruptly stopped production of his Comedy Central show and reportedly checked himself into a South African mental health facility in 2005. The next scheduled stop for the tour is tonight in Pittsburgh, Pa.